From the train station it was easy to get a taxi that knew the way to the Yiduo Youth Hostel. But easier said than done cause once the driver stopped, there was just another hotel. I mimicked him to go on searching and we drove in a bigger circle into the same street again. Since he was not giving up on that street I searched on both street sides for the hostel. And really, he was right from the beginning, the hostel was just the other side of the hotel. I am still not sure though how the numbering of the houses works. 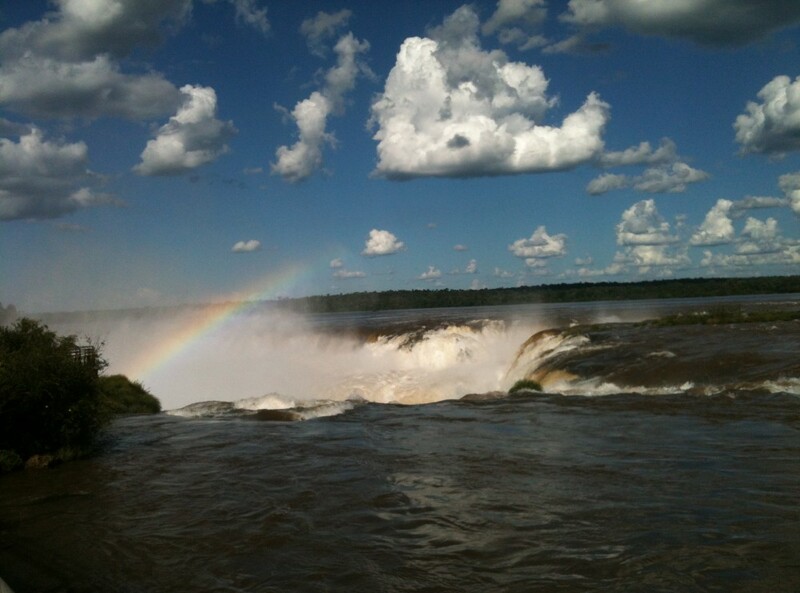 Once checked in and in my room, I was glad to relax again. Not that I had done so much this day (except go onto the dam), but the momentarily terror of being stranded at the mini harbor had drained me of all energy and I needed to rest. Since the room had no window except a small one onto the hallway, it was dark and quiet and I slept for 2 hours. Once I awoke I spoke to the daughter of the owner who could speak English and was very helpful (she was also only on visit from Beijing). 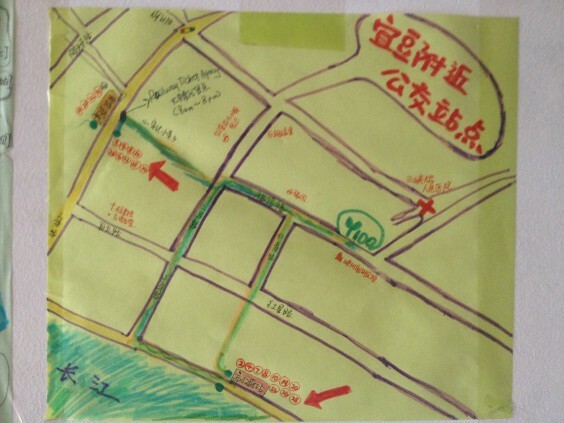 She had made a map of the area on where to find good restaurants and the main bus station. There were also descriptions of the main sights in the city. 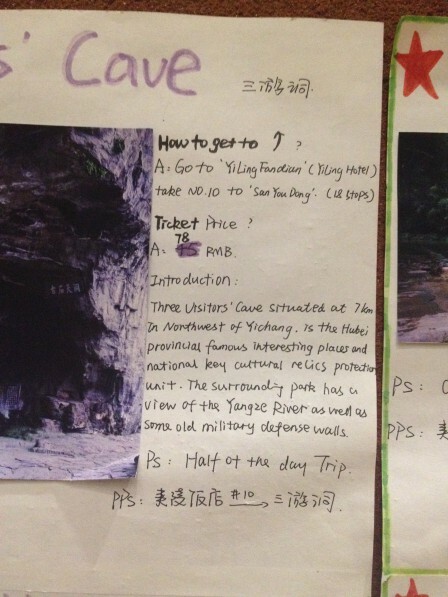 I settled on a half day excursion, the 3 Visitors Cave. 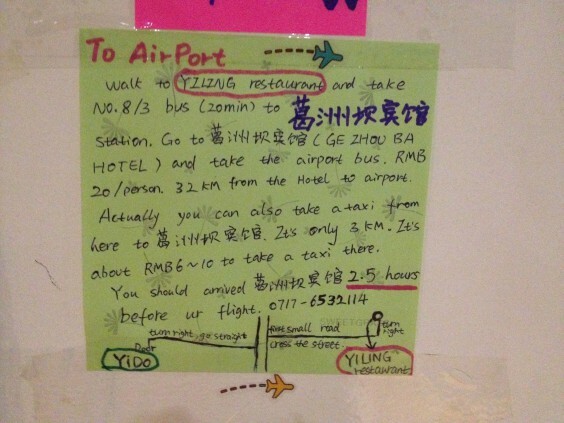 The information on how to get to the airport was not so clear but once I came back from dinner she had also written up an information sheet for this. Meanwhile I went out in search of the bus station for the next day and something to eat. 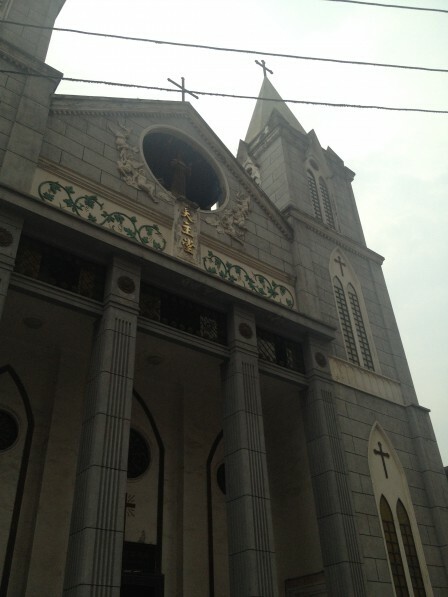 On my way around I saw a Catholic Church, my first in China. 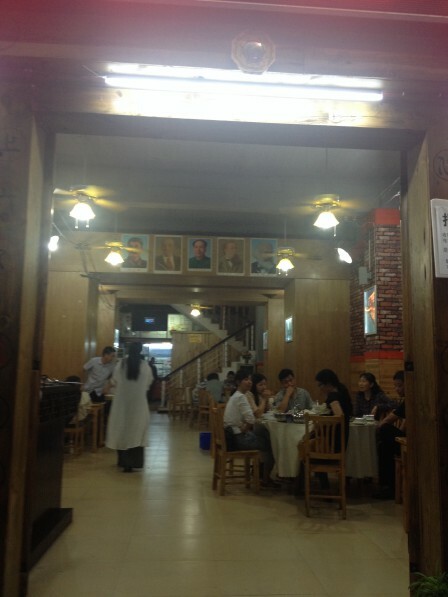 I eventually went into a restaurant that showed its communist colors broadly. From Karl Marx to Mao and Stalin, the who’s who in communism was up on the wall. 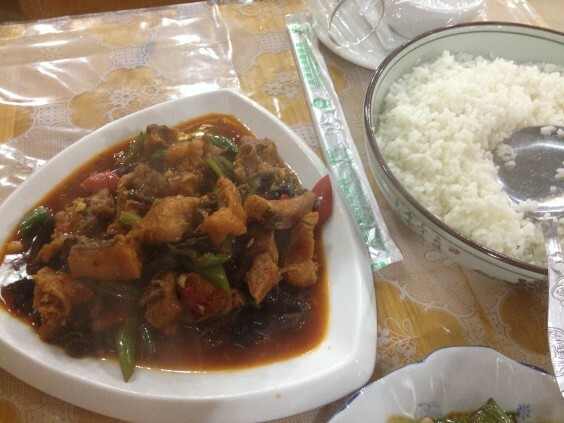 With the help of my efficient dictionary I ordered fish (I was near the Yangtze after all), some vegetables and the usual beer (very important to re-charge the electrolyte household). The food tasted as always delicious although the fish was a tad difficult to eat since it was hacked into pieces from head to tail or rather fin, bones included. I think I had one of the eyes by chance. Not really sure what to make of that but I am glad I didn’t swallow one of the bones. On the way back to the hostel which was anyway only 5 minutes off I stopped at a café/tea house/ bar. This place had a bit of the ‘Old World’ charm with cosy nooks and an upstairs dining room. I tried to order some G&T but failed on the translation of the tonic. After 10 minutes of discussion, using my dictionary and the waitress’s translation app, we gave up and I ordered her recommendation. Which was not good at all. We tried again for the second drink but then I got Gin on the rocks, really not much better. With a lot of ice and over time, it was drinkable. 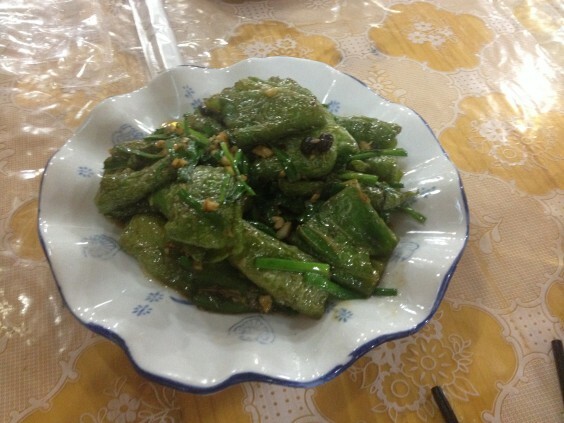 This entry was posted in Travel and tagged China, fish, G&T, helpful hostel, local food, traveling solo, Yichang, Yiduo hostel by Pollybert. Bookmark the permalink.